British Geological Survey. The BGS is a public sector organisation that is responsible for advising the UK government on all aspects of geoscience as well as providing impartial geological advice to industry, academia and the public. The BGS also has the GeoScenic photo archive which is a vast collection of geological photographs which you can view and download freely for all non-commercial use. You can search for specific sites using place names or by using a map. The Geologists’ Association is for all geologists and earth scientists, both professional and amateur. 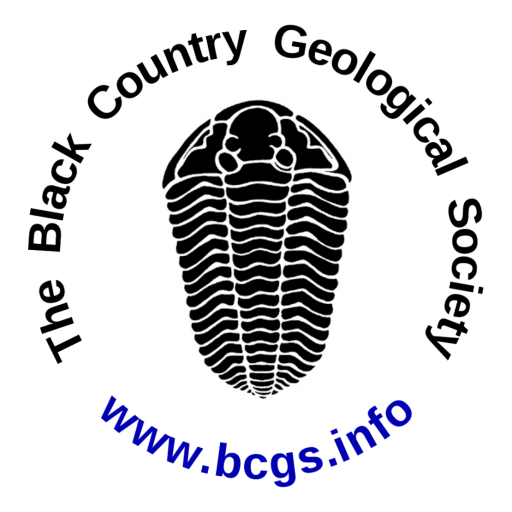 The Black Country Geological Society and many other local amateur geological societies are affiliated to the GA. The Geological Society. The oldest geological society in the world. The Geological Society of London is the recognised UK professional body for geoscientists and awards qualification of Chartered Geologist. There is a West Midlands Regional Branch of the GS. The Geoconservation Commission is part of the GS and is made up of all the organisations that are of relevance in geoconservation in the UK, including the Joint Nature Conservation Committee (JNCC), the Country Agencies, GeoConservationUK, the Geology Trusts and the British Geological Survey. GeoConservationUK exists to promote local “Geo” sites for education and public benefit and works towards a British Isles perspective, focusing on the common purposes and issues of local interest to Groups. GeoConservationUK has a membership of over 50 Local Geoconservation Groups, lately known as RIGS Groups (Regionally Important Geological and geomorphological Sites) across the British Isles. In England they are often called Local Geological Sites. The UK Onshore Geophysical Library is a charitable body providing a substantial open-access resource of commercial data on the deep geology beneath our feet – promoting education, research and development. They also fund the Strata-Smith site, celebrating the life and works of William Smith, again with access to a wide range of interactive resources and maps.